It's 2 bags in 1 with White Stuff's Cats reversible tote. 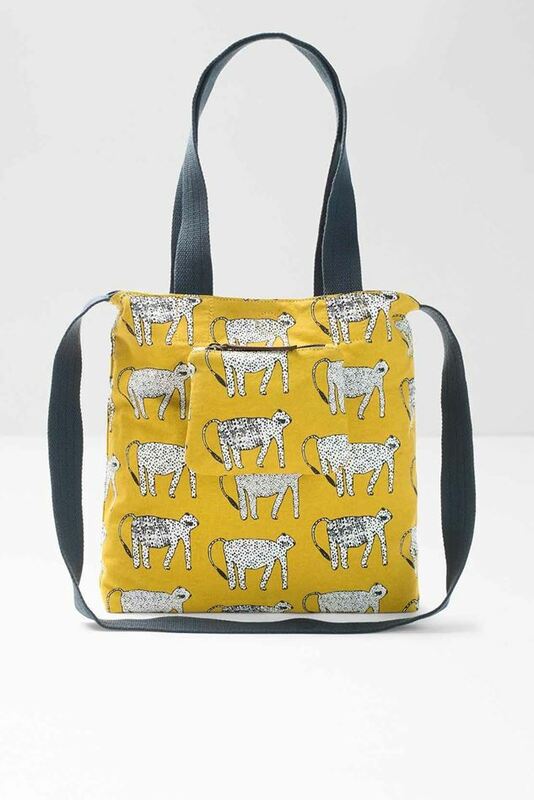 Turn this denim bag inside out to reveal a charming, bright jungle cat print. Featuring carry handles, it also has a crossbody strap so it can be worn both ways. In 100% cotton canvas, we’ve also added a detachable zipped pouch, ideal for housing the essentials.